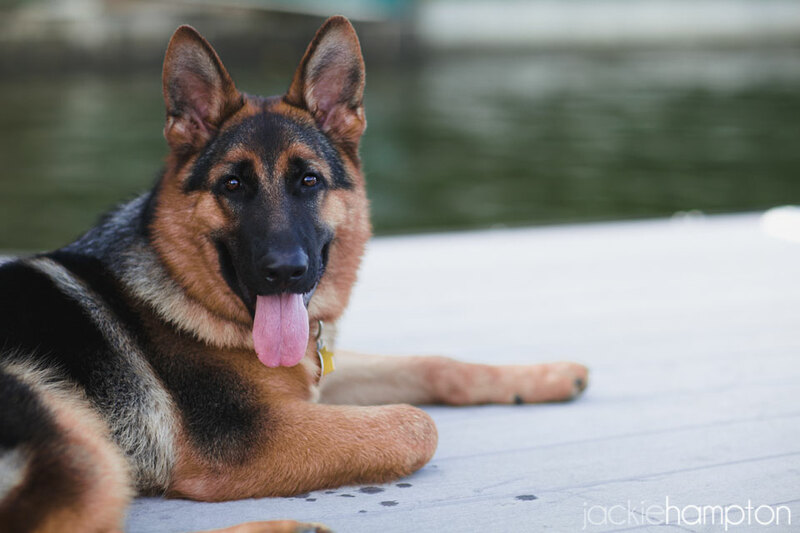 I was at the lake, sitting on the dock watching the kids zipping by on an inner tube when I had an idea to take a picture of all the dogs together. I have pictures of Zee and pictures of my dogs, but none of them all sitting together nicely. 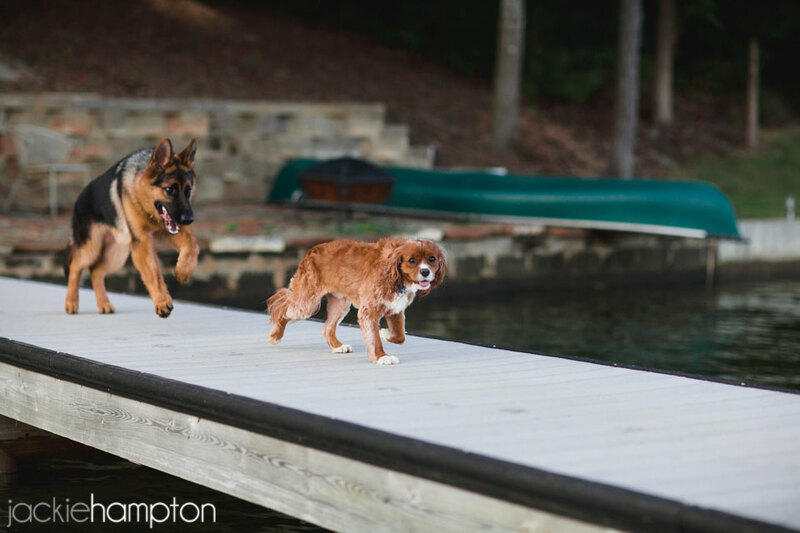 All three dogs were on the dock and I had a camera in hand, so why not. About three minutes later I remembered why not. Despite our best efforts, the dogs are not really best friends. Rather they tolerate each other because we force them to cohabitate on weekends. Zee is still very much a puppy and spends most of his time trying desperately to get Tucker to play with him. Funnily enough, I have noticed with each visit they get a little more used to each other. 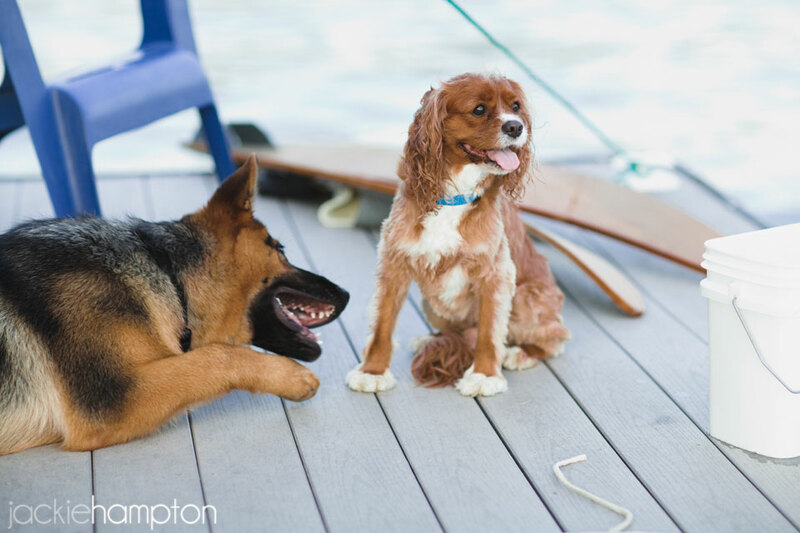 I think a slow friendship is in the works, one built on lots of chewing, growling and that one time Zee accidentally knocked Tucker off the dock. Yeah, they will be best buds in no time.